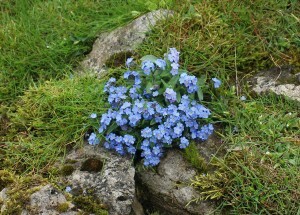 For the definitive account, see A Flora of Cumbria, mentioned on the Home Page. Note: photos are ‘clickable’! – opening with better resolution in a new page. Then use your browser’s ‘return to previous page’ controls to return to here. 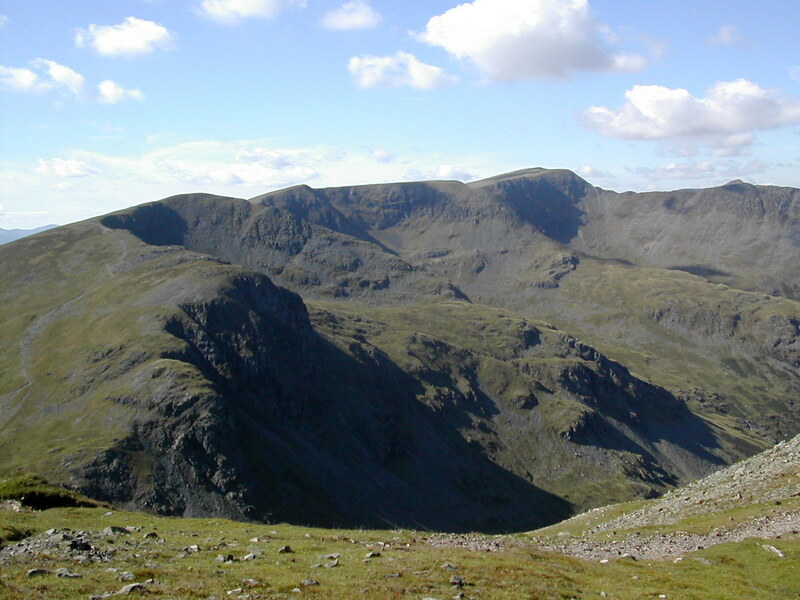 The Lake District, dominating the centre of the county, and with an area of approximately 2,300 square kilometres, is a highly complex and jumbled mass of ancient rocks, with metamorphic slates of Ordovician and Silurian age to the north, eroded southwards to reveal the granite core and extensive exposures of igneous lavas and tuffs. 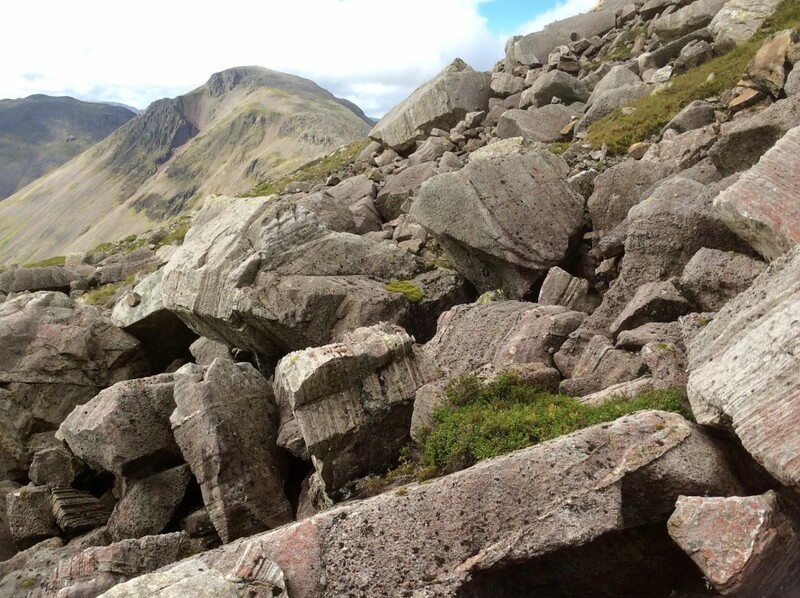 Sedimentary rocks, Carboniferous limestones and the New Red Sandstone of Permo-Triassic aeolian origin, originally overlying the area in deep deposits, have been eroded to leave a ring of remnants surrounding the central igneous core. Profound glacial action in geologically-recent times has created the world-famous landscapes of dales (valleys) and large and small lakes and meres occupying ice-carved basins and moraine-dammed valleys. Innumerable small mountain tarns (small lakes and ponds) dot the irregular topography of the hills. 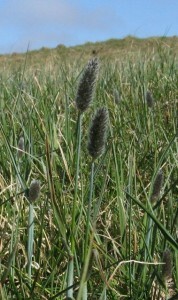 With increased human activity, many lakes are to some extent affected by silt-inflow and nutrient-enrichment, to which many aquatic plants have succumbed. 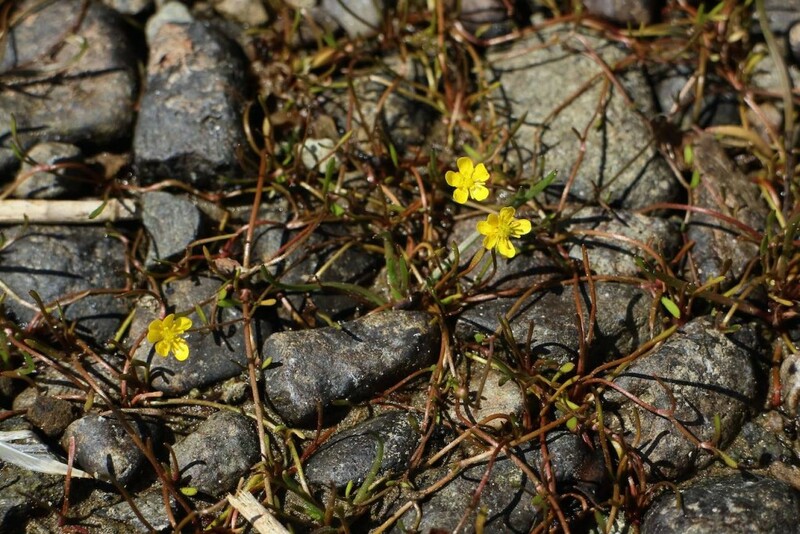 Nonetheless, interest remains, with Derwent Water’s submerged populations of Floating Water-plantain, Ullswater’s Creeping Spearwort, and marginal colonies of Thread Rush by many lakes, in its UK ‘headquarters’. 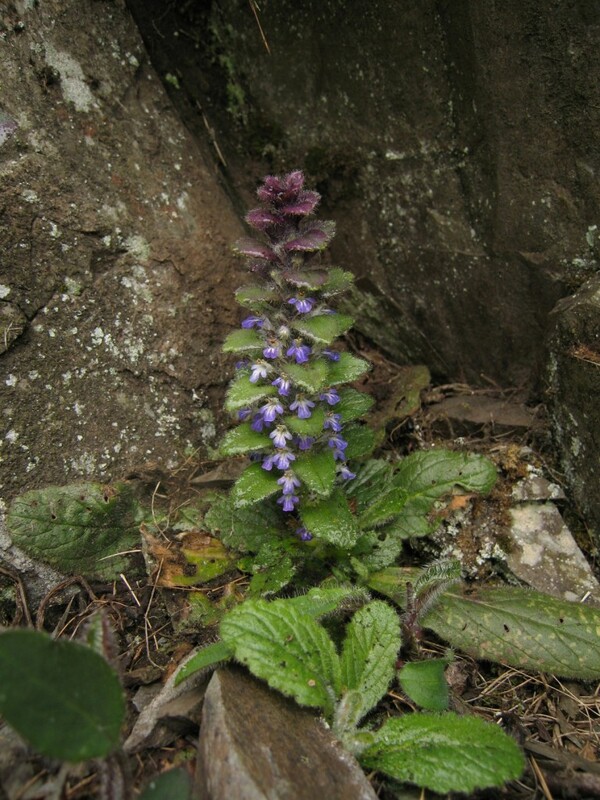 Although a compact range of hills, and of no great altitude, several of the highest peaks reach over 3,000 feet (915 metres), and in the imposing ice-carved corries on the eastern and northern faces there are many communities of mountain plants of great interest to the botanist, and indeed to the general hill-walker, with some good populations of much-admired familiar mountain species such as Purple Saxifrage and Moss Campion. Sadly, the populations of a few species are so reduced as to be doubtfully viable, with over-zealous collection, sheep-grazing, rock-falls, and a warming climate being significant deleterious factors. 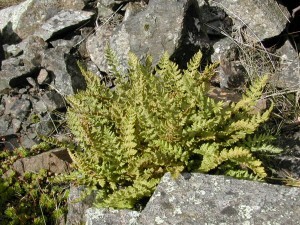 A large number of mountain species better represented in the Scottish hills occur in small populations, although the population of the Oblong Woodsia fern is the largest remaining in the British Isles. The delightful Alpine Catchfly has a small population on a remote cliff, one of only two British populations. 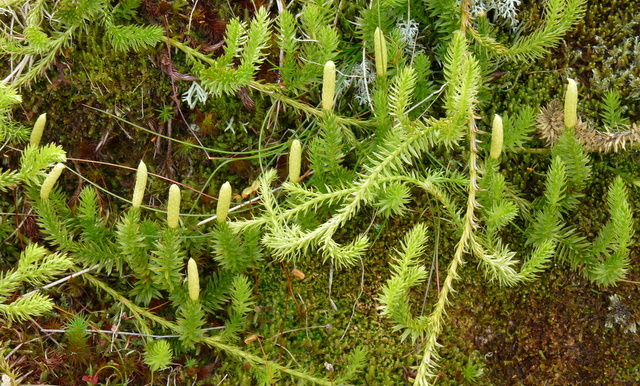 Pyramidal Bugle and Interrupted Clubmoss, both in their only English sites, occur, the former in a small patch above the Kentmere Valley and the latter spread more widely on the slopes of Bowfell. Amongst ‘non-Scottish’ plants, three cliff populations of Shrubby Cinquefoil occur, a habitat in striking contrast to the other British populations, along the River Tees and in the karst limestone landscapes of western Ireland. 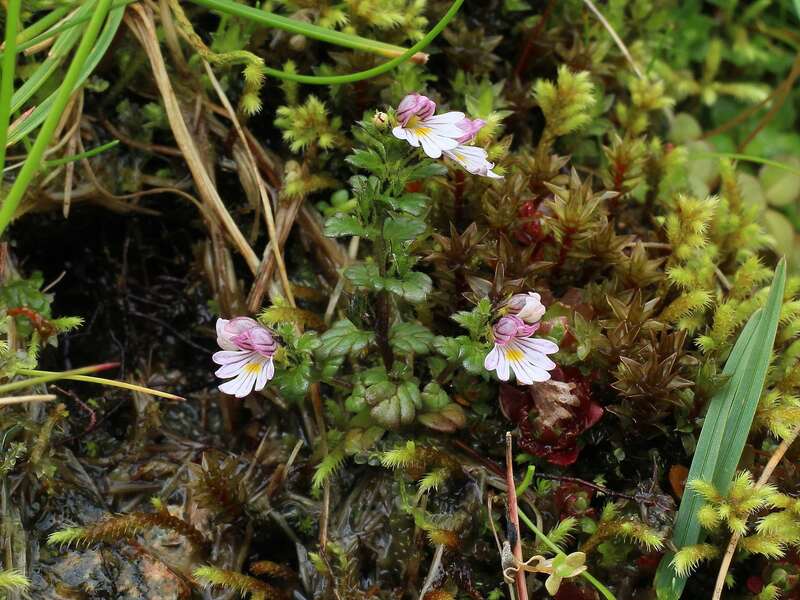 The delightful eyebright species Euphrasia rivularis is remarkably frequent on some of the hills, endemic here and in Snowdonia. The region has a moist climate with high rainfall, although the relatively mild prevailing westerly winds do not allow prolonged snow-lie in most seasons. 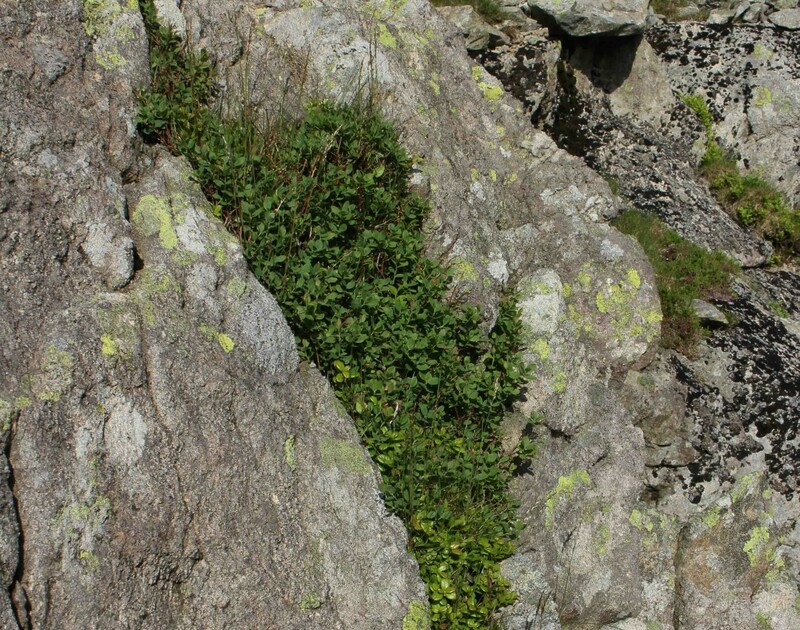 Especially in the western valleys, there are very localised areas in ravines with a rich and luxuriant ‘Atlantic’ flora of bryophytes and ferns such as Royal Fern, Hay-scented Buckler, Tunbridge and Wilson’s Filmy-ferns, and even the Killarney Fern. 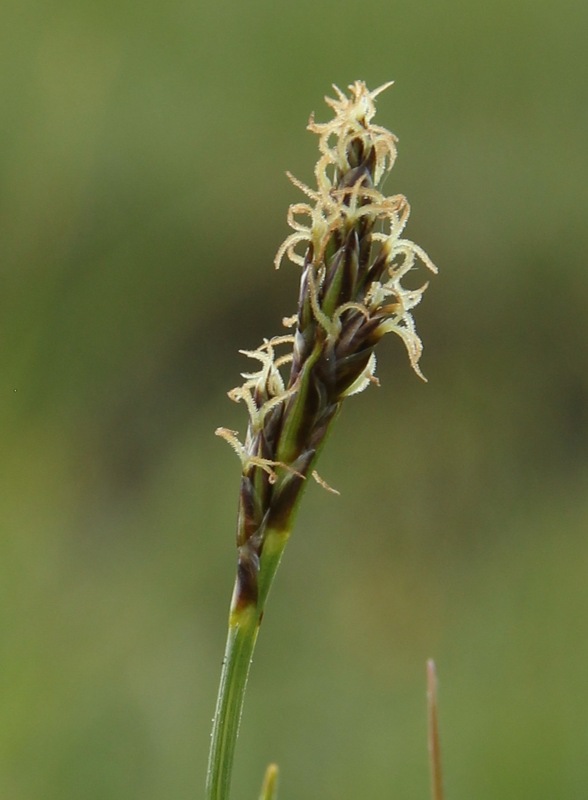 Only a single small colony of the last of these remains, although we now know that the gametophyte generation is widespread, and the late Ken Trewren found a number of very small sporophyte plants in scattered sites on sandstones in the north of the county. 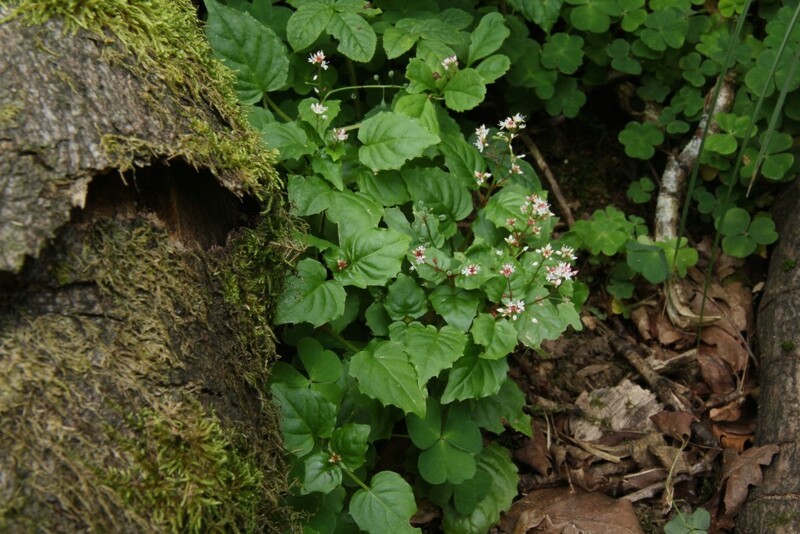 The delicately beautiful Alpine Enchanter’s-nightshade is locally frequent in some valleys, growing in shady and often slightly damp sites under oaks, and – probably in previously-wooded sites – sheltered under large boulders and beneath bracken on the valley sides. 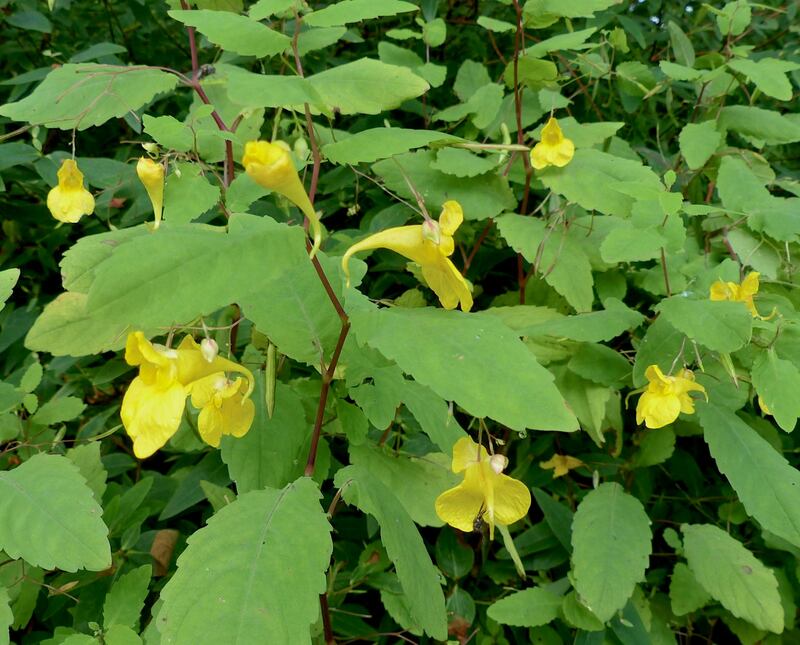 The yellow-flowered Touch-me-not Balsam, food plant of the larvae of the Netted Carpet Moth, is widespread and locally frequent in damp lowland woods, particularly in southern Lakeland near Coniston Water. 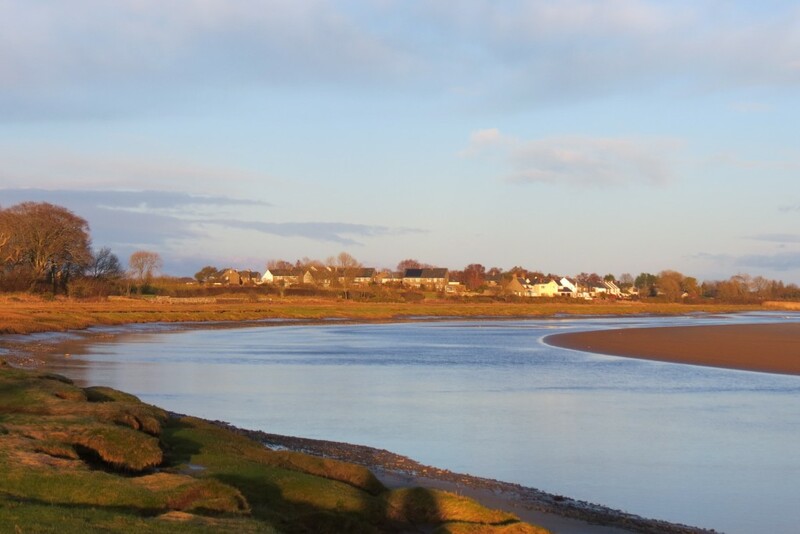 The River Eden, at 90 miles (145 km), is by far the largest of Cumbria rivers, draining large portions of the eastern Lake District, and the North Pennines’ western flanks, with the River Irthing, one of its northern tributaries also draining the large expanses of the Border moorlands beyond the Pennines. 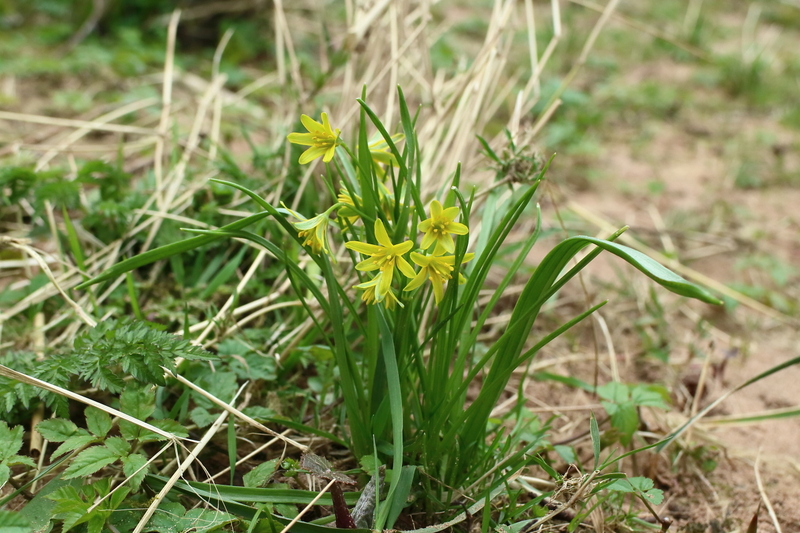 Sandy banks of the River Eden have scattered patches of Alternate-leaved Golden Saxifrage, Yellow Star-of-Bethlehem, Sand Leek and Field Garlic, with fringing strips of Slender Tufted-sedge. The curious Flowering-rush seems to be increasing in the lower reaches. South of the Solway Firth are several huge raised mires, some largely destroyed by peat-extraction, but others still carrying remnant mire systems, as at Bowness Common, and Drumburgh and Glasson Mosses. Across the Eden Valley to eastward is the great stretch of the North Pennines, the western flanks being a huge escarpment created by the Pennine Fault. Behind this, deep deposits of Carboniferous sandstones, shales and limestones still lie essentially horizontal, with but a slight declination eastward. 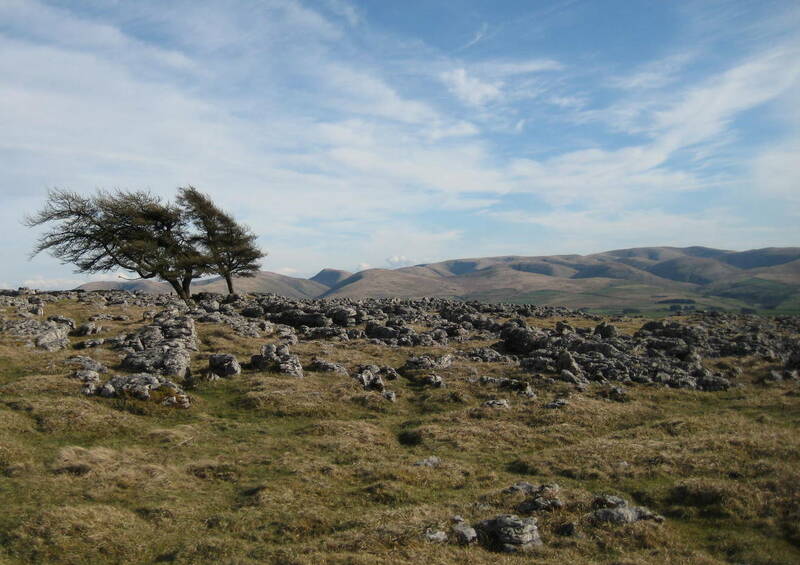 The highest point, Cross Fell (2,930 feet; 893 metres) and its subsidiaries form the largest block of high ground in England, with a fascinating flora at higher levels on limestone and dolerite cliffs and in seepage areas. 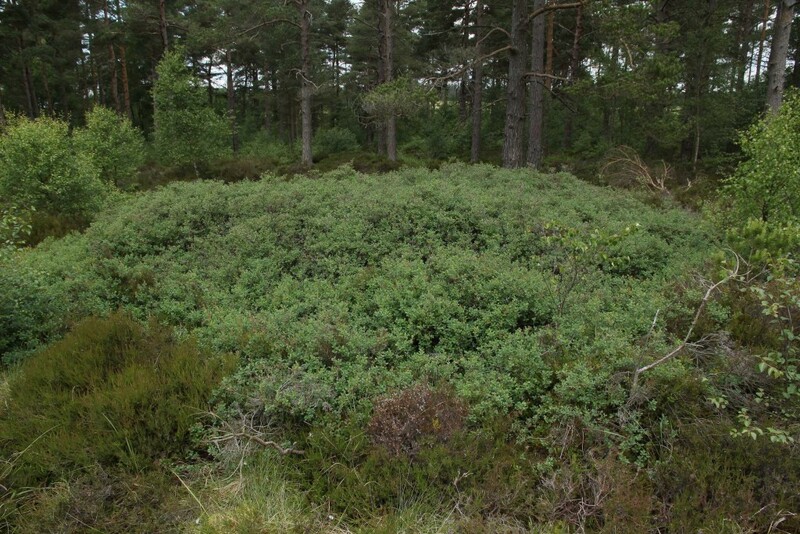 The overlying blanket peat, somewhat monotonous in appearance has some floral interest (although the widespread burning and draining, for grouse-shooting interests, and in attempts to improve grazing for sheep, has created much continuing erosion). 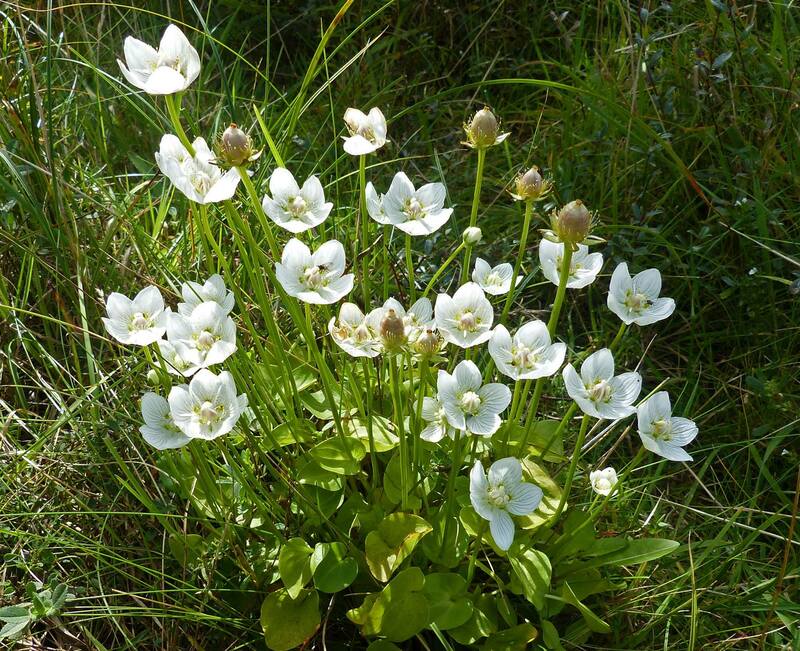 The strongest UK populations of the globally-threatened Marsh Saxifrage occur here, and there are large colonies of the Alpine Foxtail – actually an arctic plant, and not ‘Alpine’ in the strict sense, with a fascinating world distribution (as indeed its specific epithet hints). 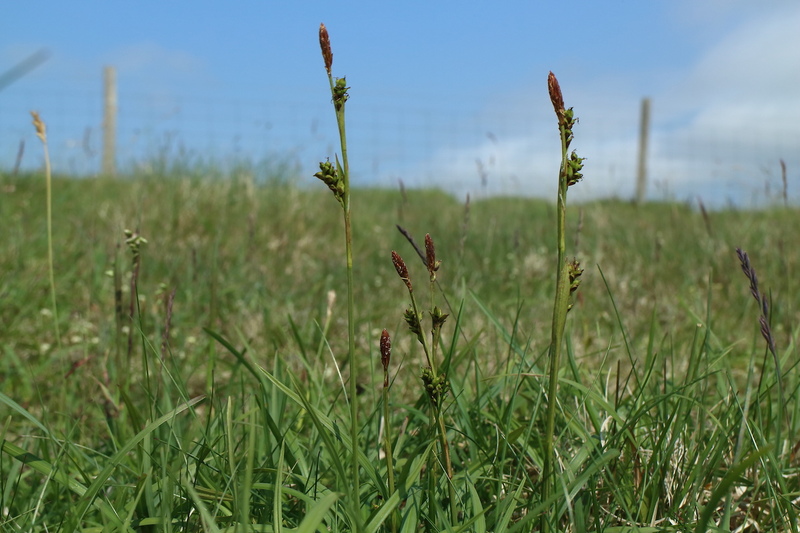 In some seasons there are thousands of shoots of this plant emerging, but the culms appear to be nutritious, and the grazers, from voles to sheep, soon remove a large proportion. 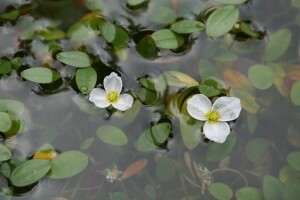 Thought to be a rare plant in the North Pennines, and only discovered in England in the 1950s, it was only in the sheep-free year of 2002, after the most recent episode of foot-and-mouth disease, that it became clear how widespread and abundant the species is in the highest flushes (700-800 metres a.s.l.). The Sheathed Sedge – a fairly widespread plant in Scotland, both in the Highlands and in the Southern Uplands, in a range of habitats – was discovered in England as recently as 2002 (that sheep-free year referred to above), and yet is known now from forty sites on the flanks of the high plateaux, in flushed grasslands over limestone, over a range of 40 kilometres. 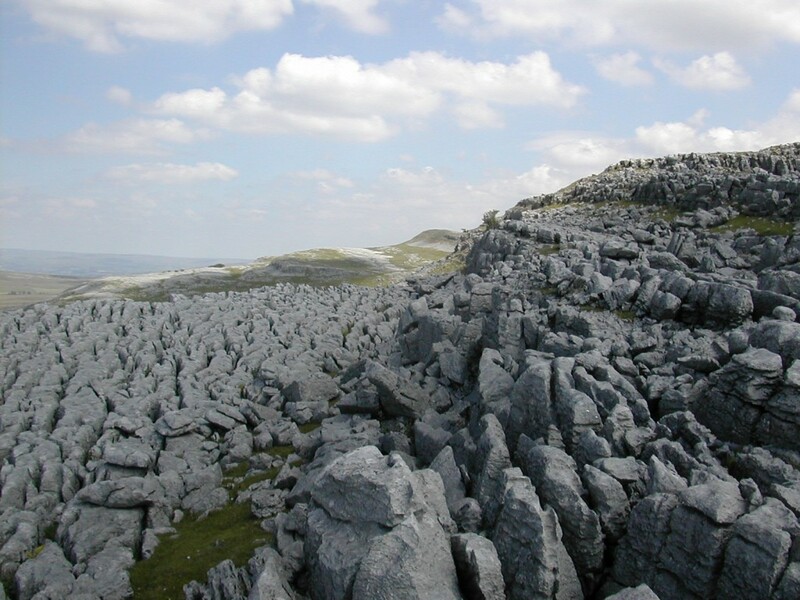 Remarkably, it occurs even in some dry limestone pavements on Long Fell, as here. Several of the famous rare plants of Upper Teesdale – Spring Gentian, False-sedge, Alpine Rush, and others – occur in the small portion of Cumbria along the River Tees and the Maize Beck. 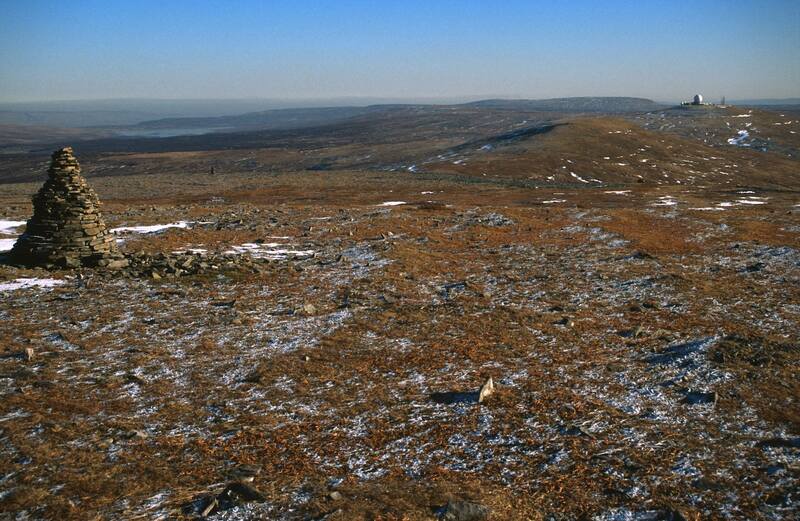 To the north, along the Scottish and Northumberland borders, are the Border Mires, now mostly under coniferous plantation, but residual areas such as Butterburn Flow – the finest extent in England of largely undamaged upland raised mire – give a sense of what has been lost. 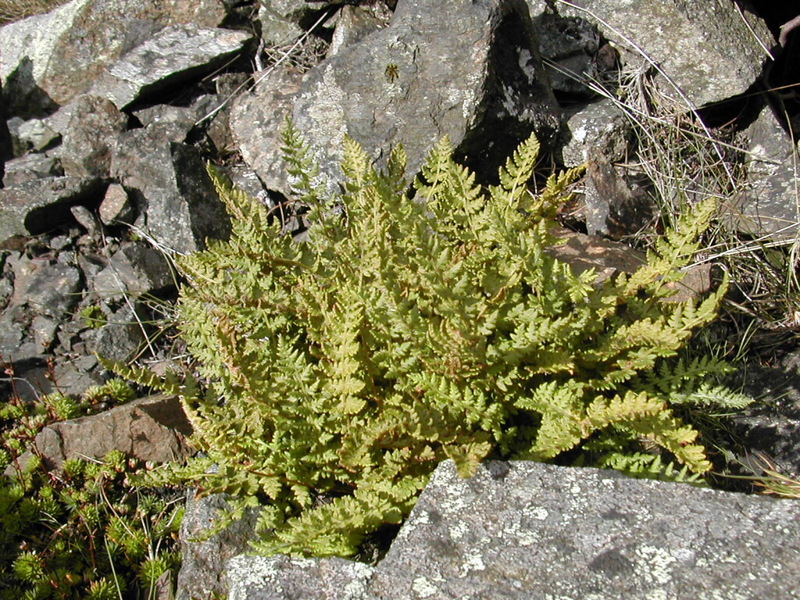 Dwarf Birch has one strong remnant patch (one of the four sites now known in northern England, the others being in neighbouring Durham and Northumberland), and Northern Deergrass is locally abundant. The great ridges of Carboniferous limestone along the very mild southern Cumbrian coast along Morecambe Bay, as at Arnside Knott, Whitbarrow and Scout Scars, have many ‘southern’ species, including Squinancywort, Hoary Rockrose and Rare Spring Sedge, amongst many others, and there is a curious outlying remnant colony of white-flowered Teesdale Violet. The high escarpments and limestone pavements in the east and southeast of the county are largely utilised as sheepwalk, but still have a distinctive flora of great interest. The common-land at Tarn Sike, near Sunbiggin Tarn, has one of the finest examples in England of a diverse limestone flora, including both dry turf plants such as Spring Cinquefoil, and those requiring damper conditions, with fabulous displays of Bird’s-eye Primrose, many orchids including Frog, and three species of Marsh-orchid, and a great variety of other plants. 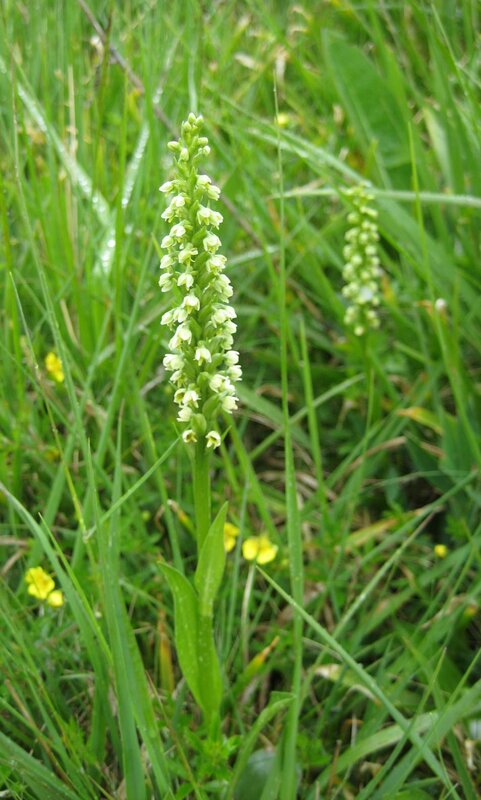 The much-celebrated and eagerly-sought Small-white Orchid has a few sites, including a newly-discovered colony in Stainmore. 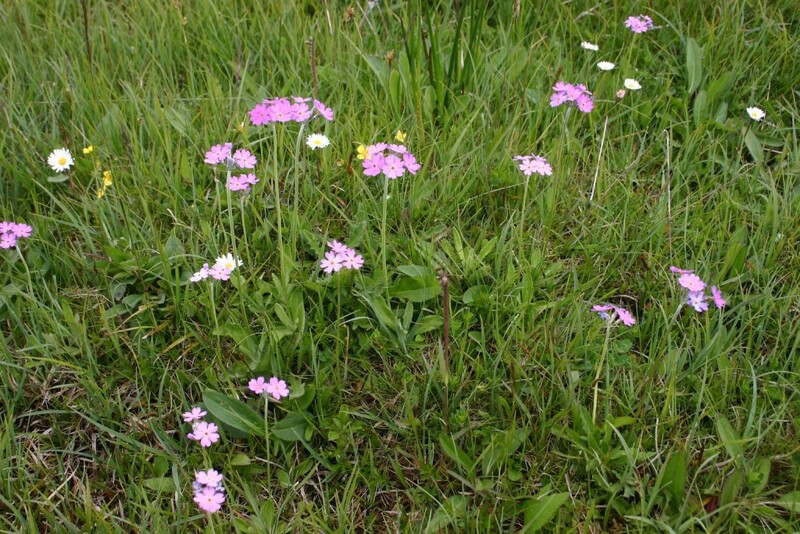 Traditional hay-meadows are now sadly rare, but some examples persist, with Wood Crane’s-bill, Globeflower and many other species. Too many ‘hay meadow’ species are now restricted to declining populations on margins and road-verges. 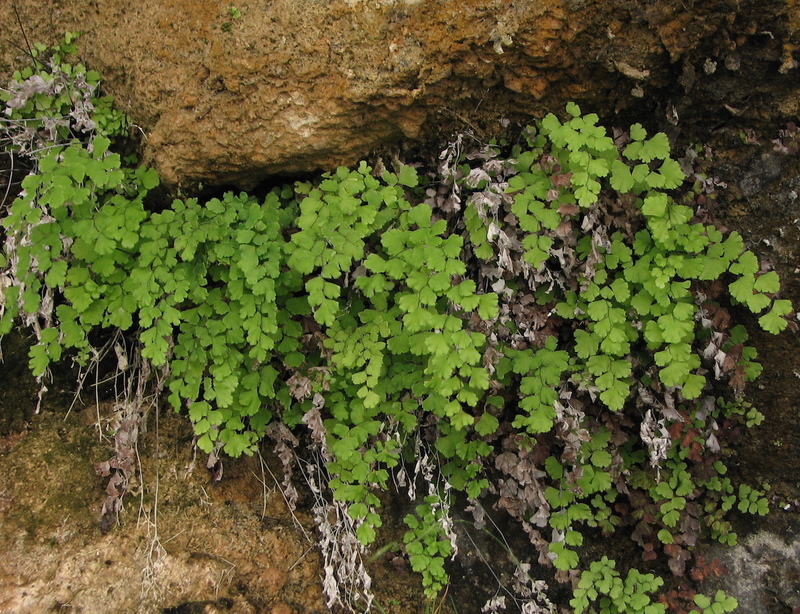 In some valleys, where there are calcareous seepages, extremely important relict communities including Alpine Bartsia and Dwarf Milkwort persist, and Leafless Hawk’s-beard has its only known UK locality along one stream. Northern Hawk’s-beard occurs more widely, with some strong colonies on valley-sides and even on road-verges. 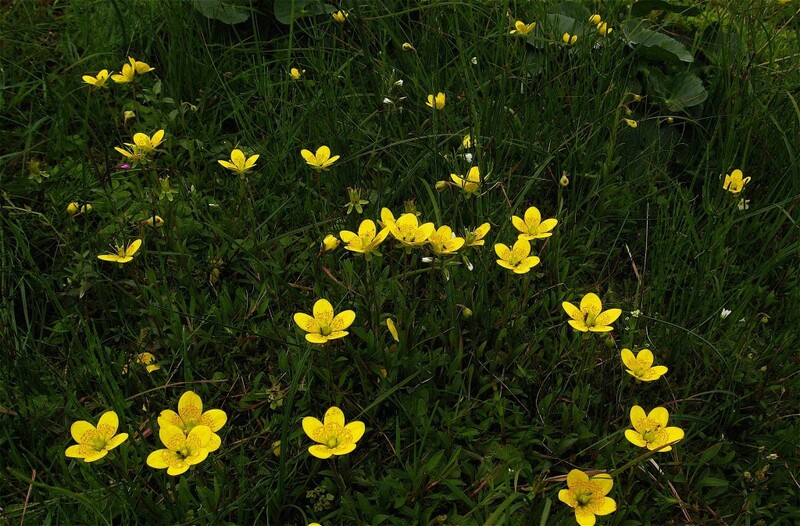 Along the western escarpments of the Pennines, limestone and dolerite make impressive cliffs at high altitudes, and carry a relict montane flora including Alpine Cat’s-tail, Alpine Meadowgrass, and Alpine Cinquefoil. 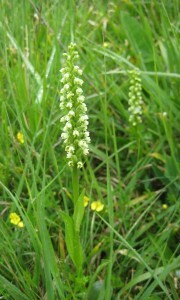 More frequent are Roseroot, Hoary Whitlowgrass and Limestone Bedstraw. 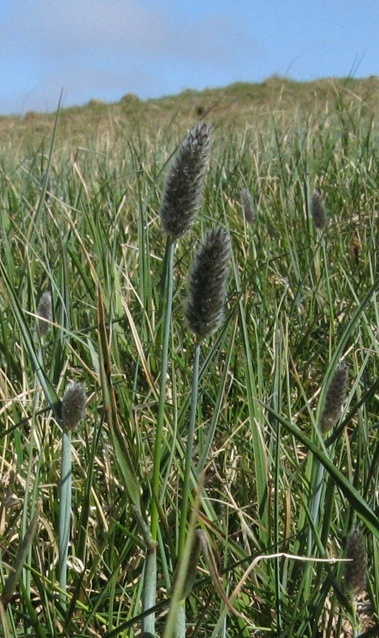 Blue Moor-grass is very abundant. 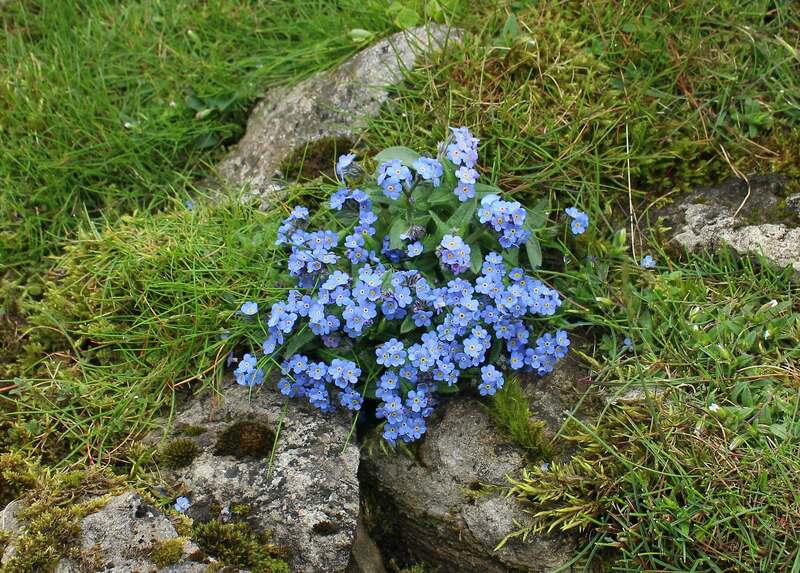 In some years, at least, the Alpine Forget-me-not “turns the turf blue in places” on Little Fell – just as was described by the great Cumbrian naturalist Derek Ratcliffe over sixty years ago. With wide saltmarshes fringing the estuaries in the north, the southwest and south, high sandstone cliffs at St Bees, long shingle beaches and dune systems in the southwest, limestone cliffs and headlands, the coastal floras are varied and fascinating. 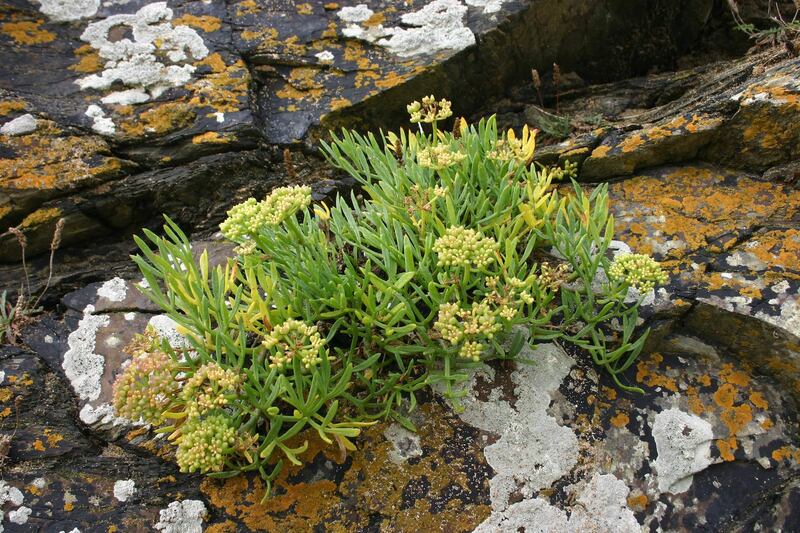 Oysterplant is sadly ephemeral, but other shingle plants such as Sea Kale and Rock Samphire appear to be increasing. 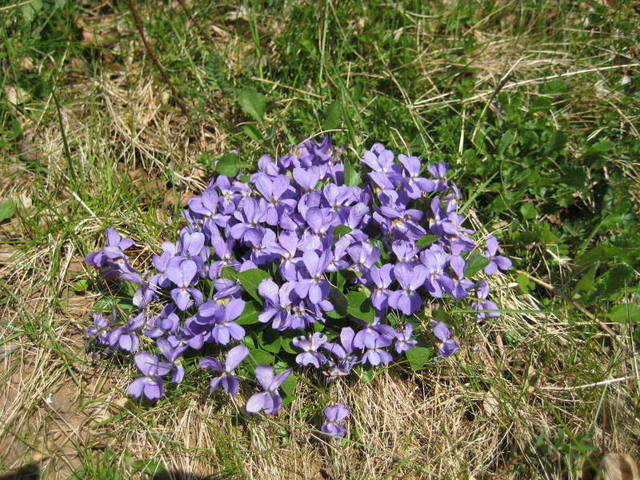 The sand dunes hold good numbers of the endemic Isle of Man Cabbage and scattered colonies of Heath Dog-violet and, around Mawbray and Silloth, occasional examples of its showy hybrid with Common Dog-violet. The extensive calcareous dune-system at Sandscale is botanically rich and holds populations of Dune, Green-flowered and Marsh Helleborines with variable numbers of Coralroot Orchid (an estimated 2000 in 2015), Early Marsh-Orchids, and abundant Grass-of-Parnassus. The coastal limestones by Morecambe Bay, with a sheltered and mild climate, have colonies of Maidenhair Fern, Spiked Speedwell and Hoary Rockrose, and at the incomparable Humphrey Head there is a small population of the extremely localised and declining Spotted Cat’s-ear. 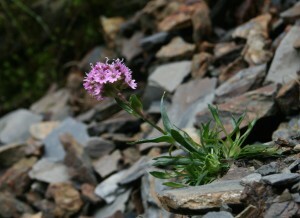 Most unfortunately, the Goldlilocks Aster appears to have been lost from its single ledge here, for no obvious reason. The very local endemic Lancastrian Whitebeam is frequent here (the north shore of Morecambe Bay, now in Cumbria, was previously “Lancashire-north-of-the-sands”, so the name is perhaps explicable in those terms). 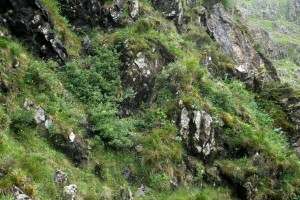 In places it shares the cliffs with the more widespread Rock Whitebeam. 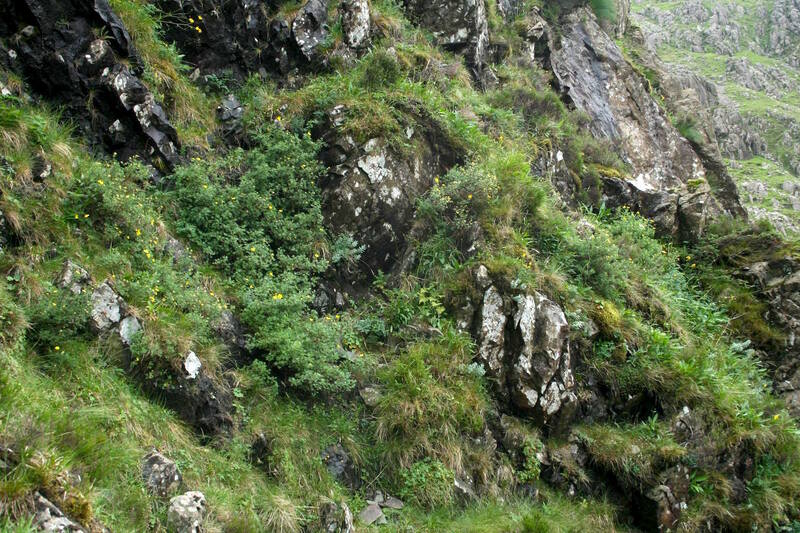 With its varied habitats, geographical situation where northern and southern British floras overlap, small human population, dramatic and relatively unspoilt landscapes, and, above all, its wide range of attractive native plants, Cumbria is one of the best and richest English counties in which to botanise.